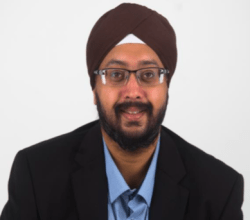 SINGAPORE: Business journalist Malminderjit Singh is leaving Business Times to head the administration of the Singapore Indian Chamber of Commerce and Industry (SICCI). Malminderjit, who is also the current president of Young Sikh Association, Singapore (YSA), will join SICCI as its executive director effective March 1, 2015. At 36 years old, Malminderjit will be one of the youngest heads of SICCI in its recent history, according to a SICCI statement released yesterday. Established in 1924 as Indian Merchant Association, SICCI is an ‘active commercial organisations’ with more than 900 members, according to information on its website. Prior to BT, Malminderjit, was an Assistant Director (Trade Division) at the Ministry of Trade and Industry, where he worked on Singapore’s economic and trade relations within Asean and with its dialogue partners. Malminderjit graduated from the University of Buckingham in the United Kingdom with an Honours degree in Economics. In 2008, he completed a Master of Science degree in International Political Economy from the Rajaratnam School of International Studies at the Nanyang Technological University. Malminderjit’s appointment at SICCI is both relevant and timely, given that there is a new board in place at the chamber, which took over last year and that wishes to rejuvenate the organisation, both internally and externally, the statement adds. As such, the designation of the head at the chamber will be changed to Executive Director, from CEO previously, to better suit the needs and functions of SICCI, it says. SICCI is run by a board led by Dr R Theyvendran who was elected chairman in 2014. Theyvendram is credited for the transformation of the Management Development Institute of Singapore (MDIS) into a profitable enterprise. “He is young and dynamic and that will be valuable for SICCI as it charters new territories and breaks new ground. The Board is looking forward to working with him to drive SICCI forward,” Dr. Theyvendran says in the same statement. In an interview with a Business Times in May 2014, Dr Theyvendran said he intends to replicate the process-driven culture now embedded in the MDIS modus operandi at the chamber to turn the fortunes of the SICCI around. The report added that his short-term objectives for SICCI were to increase the membership of the chamber and look at amending its by- laws.